On April 11th, 1812, a group of Luddites attacked a mill in Leeds, exchanging fire with the armed guards within and leaving two dead. 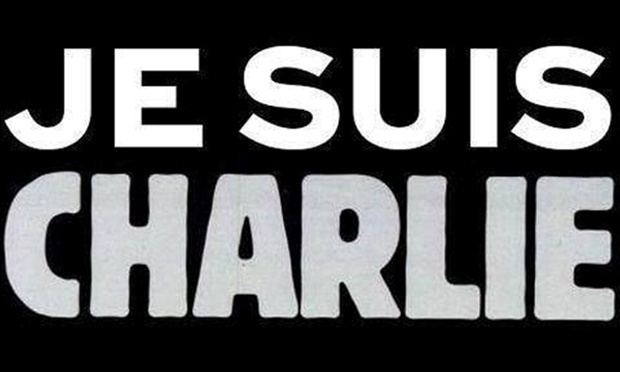 On January 7th, 2015, a pair of Islamic extremists attacked the offices of the French satirical magazine Charlie Hebdo, opened fire, and left twelve dead. The incidents might seem completely unrelated. After all, one is an incident over two hundred years old, involving a group that was protesting against the social changes brought about by technology, while the other is based on a religious premise, a protest against a specific act, and looks more like the continuation of ancient crusades and jihads than anything else. And yet, the parallels are pretty obvious. The superficial similarities are what jumps out first. The Luddites were a pseudo-military force that trained and indoctrinated its recruits and eventually found itself facing the might of the British army before being eliminated. Islamic extremists are similar, except that they are facing the might of most of the world’s armies as opposed to that of just one nation (thanks in large part to the Luddites defeat, the world is now one single nation, essentially). But there exists a much more subtle similarity as well. Both events essentially motivated by fear of progress and change. While the Luddites expressed this openly, religious extremism is just another symptom of the same disease: man’s fear to move forward into a new era. Of course religious fanatics don’t fear the newest iPhone or electric cars (although some of them do). The thing they are fighting against is progress as society moves away from religious thinking. Whether it be jihadis attacking freedom of speech by killing the editors and staff of a magazine that published things they found offensive or right wing Christian fundamentalists taking advantage of regional political power to ban the teaching of science in favor of pseudoscientific theories (and stunt the education of innocent children in the process), they are all reacting against the same thing: religion is no longer a leading driver of social change or social mores. Yes, there is a world where people can satirize any prophet and continue living, and it is this one. The men and women who died in the attack are the ones the world considers heroes… not the attackers. All but a few misguided souls will be raising a glass in remembrance to the dead – their magazine might have been a bit over the top, and often in incredibly bad taste, but no one can doubt that they had balls and integrity, or that they were true to the spirit of freedom of speech and thought. This doesn’t mean that religion is unimportant or something to be dismissed. People are much more free to explore their spiritual side and find a path that helps them deal with modern life than ever before, and many religions are keeping up with the times and offering heir adherents answers that truly help them cope. But as a force that can force others to conform and be a homogeneous flock, it is spent. This is anathema to many, to the same type of people who, had they lived in the 1810s would have been part of the Luddite Revolution. They have already lost, but they just haven’t been able to accept it yet. They see the world around them getting more and more alien to their beliefs and, unable to adapt, they become violent in their extreme. I can’t do anything to ease the pain of the loved ones of the people murdered this week. 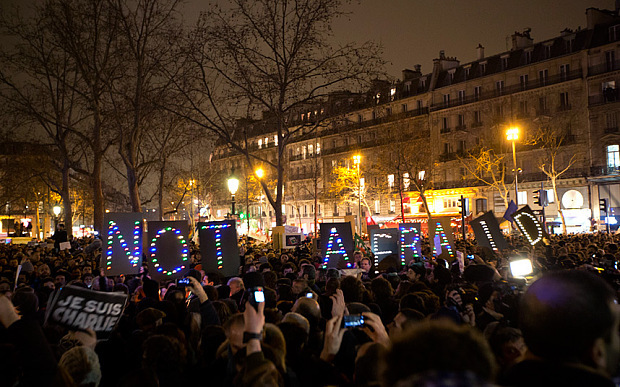 Or to heal the wounds of the city of Paris or of France. I can’t even shout loud enough to be heard what a wonderful religion Islam is when it isn’t being practiced by ignorant, frightened, worthless extremists. The action of fools will harm innocent, peaceful muslims all over the world, including many that I am proud to call friends. All we can do is support them from here at Classically Educated, which makes me feel impotent and angry. But at least we can take solace in the knowledge that, like the Luddites before them, religious extremists are just rabid dogs. They are dying off due to forces they don’t have the mental faculties to understand. All they are smart enough to do is hurt people before they die. But both rabid dogs and religious extremists are doomed by the very forces that give rise to their aggression. Yes, they might get more and more rabid as their time passes, but in the end, they will just be a curious memory, like the Luddites. We won’t miss them when they’re gone. And we won’t fear them while they’re here.